Majority of Americans between 18-24 now choosing liquid soap because they think bar soap is covered in germs. Many others just find it inconvenient. Between 2014-15, sales of bar soap fell 2.2 percent compared to an overall market growth of 2.7 percent. The percentage of households using bar soap dropped from 89 percent to 84 percent between 2010-15. 55 percent of all consumers believe bar soaps are less convenient than liquid varieties. 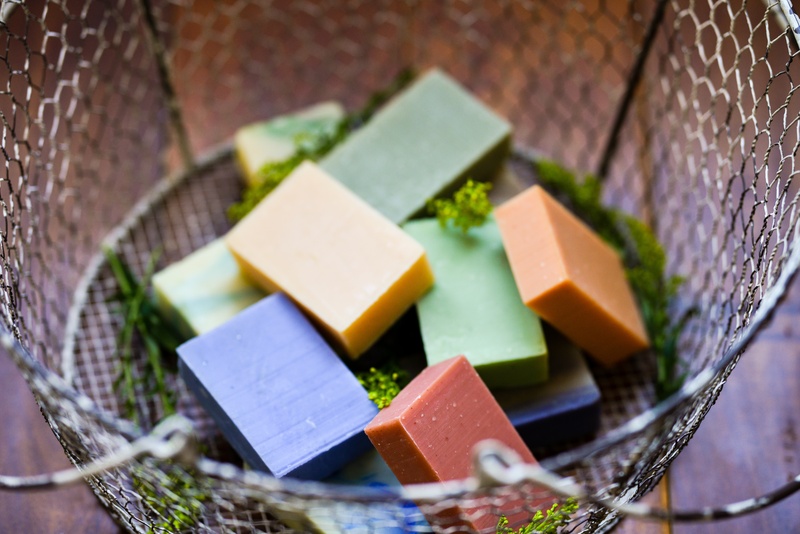 60 percent of consumers between 18 and 24 believe that bar soaps are covered in germs after use; 31 percent of older consumers aged 65+ believe the same. So let’s break this down a bit. Are bar soaps more of a hassle than liquid soaps? For a culture that covets convenience, sure. Liquid soaps are not messy, they don’t slip out of our hands, they don’t require a soap dish. But to my eyes this is a myopic take on things. If we consider that $2.7 billion was spent on liquid body wash alone in 2015 – even if we randomly (and generously) assign a cost of $10 per bottle – that’s 270,000,000 plastic bottles with pump parts that end up in the waste cycle. And remember that’s just body wash. While some people refill their dispensers and create less waste, it’s still decidedly more plastic than the paper wrapper of a soap bar. In a cradle-to-grave life-cycle analysis of household cleaning agents, including personal body cleansers, Annette Koehler and Caroline Wildbolz of the Swiss Federal Institute of Technology in Zurich found that for a per application or per wash basis, the carbon footprint of liquids is about 25 percent larger than that of bar soaps. Why? In large part because for a typical visit to the sink, we use almost 7 times more liquid soap (2.3 grams) than bar soap (0.35 grams). That extra soap means more chemical feedstocks and more processing, and thus more energy and carbon emissions. Liquids also require more energy for packaging production and disposal. Huffington Post adds that we use more heated water with bar soap than with liquid soap, but why is that? According to the Centers for Disease Control (CDC) handwashing guidelines, the length of time for handwashing (20 seconds) is regardless of soap type. And don’t most people turn the water off when washing their hands anyway? And then there’s the mess … but is mucky soap goop a problem? At my sinks and in the shower we have soap dishes that apparently allow the soap to dry enough to prevent this; someone educate me here, am I just using magically un-scummy soap? Next, is bar soap really covered in germs? Why are we becoming so squeamish? The hygiene hypothesis argues that our obsession with cleanliness is actually leading to increased ill health, yet we persist. For the rest of us, the CDC makes no distinction between bar and liquid soap, and in fact shows both in their hand-washing guideline illustrations. Mayo Clinic recommends either option as well. So in the end, the demise of the soap bar is about misguided fear and convenience; and as we are continually proving our preference for things we can throw away instead of having to actually clean, we are, in the end, making a much bigger mess … even when it comes to a simple bar of soap.